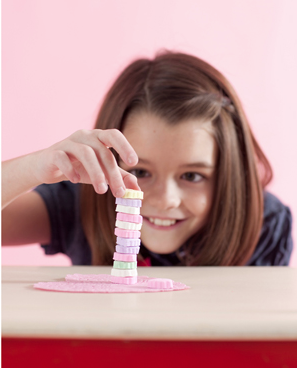 Here are some more fun valentine party games that are easy to pull off last minute. If you are a fan of the game show Minute To Win It, there are a lot of their challenges that are easily to incorporate into a Valentine's Day theme. Sassy Sites has a roundup of some of these Valentine Minute To Win It Games on their site. Two of the games in the round up are games we played in my son's class last year. I got the idea for conversation heart stacking and conversation hearts and chopsticks over at One Charming Party. This year I think I am going to pick up a package of valentine cookies and play the cookie game. 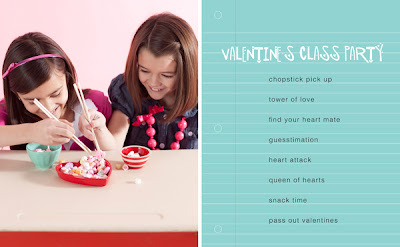 You can get the details in the breakdown of these fun valentine party games.